A collaborative effort helping Lapeer County families. 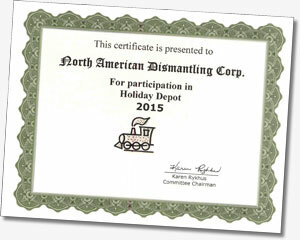 The 2015 Award represents our fourth year of support. 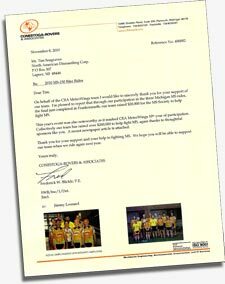 "We were able to help 466 families with 1725 children with the support of the Lapeer community. We had 75 families and groups adopt families providing gifts and/or food. Without your help and the help of many members of our community, we would not be able to provide for the families that we do". 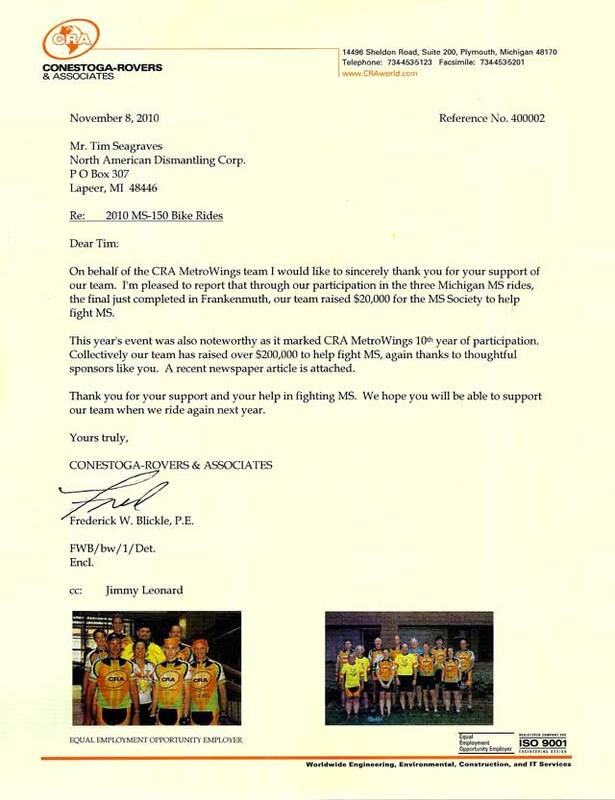 By supporting the Michigan chapter of the National Multiple Sclerosis Society through our sponsorship of the CRA Metro Wings cycling team from Consestoga-Rovers & Associates, a consulting engineering firm, $20,000 was raised to help fight MS. Overall, $200,000 was raised, which will go a long way in assisting the MS Society's activities in Michigan.